Get ready for a new ShareProgress blog feature! 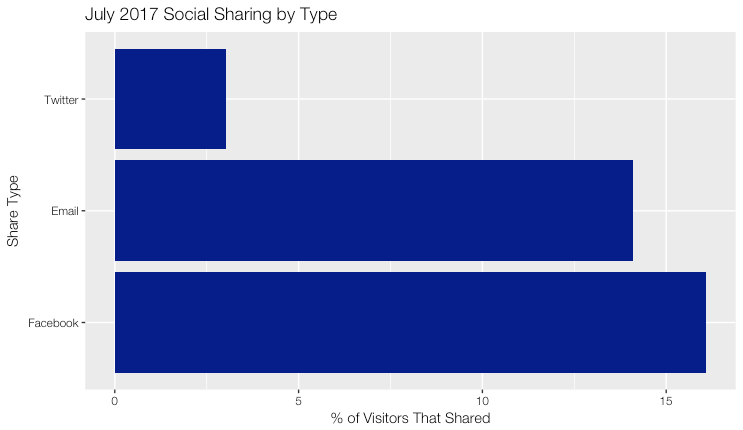 Each month, we’ll dive into the data from our social sharing A/B testing platform. Using information from hundreds of experiments performed on our platform in July 2017, we developed benchmarks for post-action social sharing that organizations can use to evaluate their own digital programs. We plan to update this data monthly, so check out the ShareProgress blog for more information! All of the data from this analysis comes from the ShareProgress A/B testing platform. The platform allows organizations to create post-action share pages to send supporters to after the supporters take some sort of online action, such as signing a petition. The platform allows organizations to make several versions of the social sharing text that appears once a supporter shares. This way, they can run A/B tests to find the language that drives the most viral visits to the original action page. The data is recorded in our back-end database that powers the site. We limited the analysis to July 2017. During this month, there was a total of 1.6 million visits to ShareProgress share pages. Of the 1,598,497 share page visitors, 537,987 people shared resulting in a share rate of 34%. A viral visit is when a supporter visits the original action page by clicking on a link that another supporter posted on social media or email. 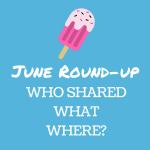 1,004,983 viral visits came through social sharing on the ShareProgress platform in July, meaning for every post-action share, there were 1.87 viral visits. A viral action occurs when a viral visitor to an action page submits an action. For every post-action share, there were 0.51 viral actions. On average, for every 100 people that take action, they will bring in 17 more viral actions. Successful shares are post-action social shares that drive at least one viral action. 23% of all social shares were successful. 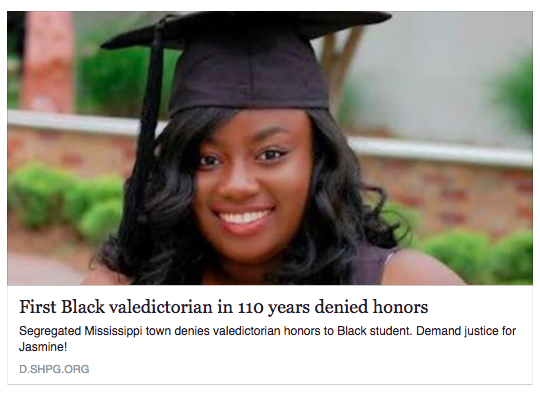 Color of Change created a share page for a campaign about a black valedictorian in Mississippi who had to share the honors with a white student. Changing the title of the post on Facebook from “Justice for Jasmine” to “First Black valedictorian in 110 years denied honors” nearly doubled the rate of successful shares from 15.6% to 27.0%. This result is consistent with past experiments that tend to show specific language outperforms less descriptive catchphrases. Stay tuned next month for our August benchmarks report to get a full picture of what late summer looks like for social sharing!